With more than 500 Canadian radio stations from coast to coast, Radioplayer Canada offers nearly every style of music, news, sports, talk and entertainment - in one player - in both official languages …anytime, anywhere. 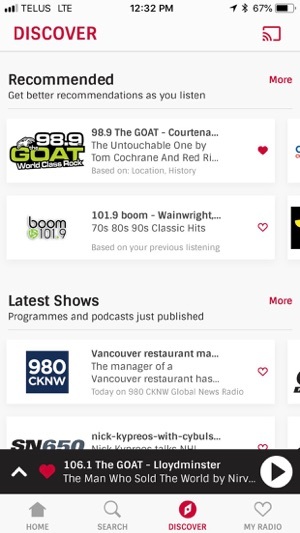 Radioplayer Canada allows you to discover live and catch up radio through search and recommendations based on listening history, geographical location and crowd-sourced trending. 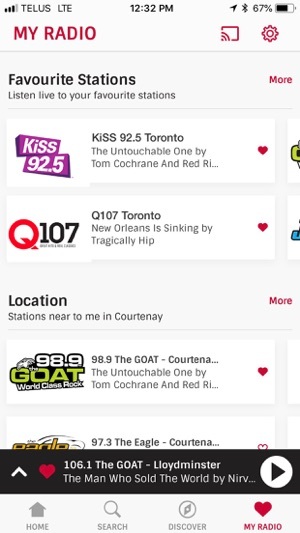 Radioplayer Canada allows you to tune-in your favorite radio stations like never before, with access on all your mobile devices. 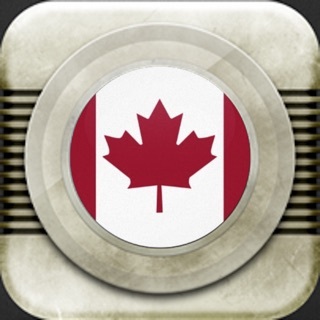 Radioplayer Canada – Where Canadian Radio Plays! 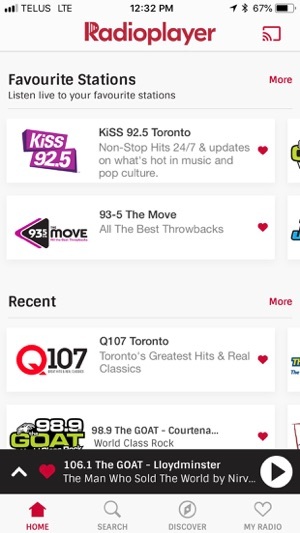 Tunein radio is way better and has all the stations from Ottawa, small or large. This is sad, all I see is Toronto radio stations. The capital city of the nation has limited selection. Deleting. TuneIn is way better. Agree, the app graphics are really big. Due to this I will be using something else so either fix it and make it smaller or discontinue the app. Constant signal dropping even on a full strength WiFi network. Cellular reception has become unusable. I also notice the “Feedback” link within the app is now broken. I assume a future update will fix it but for right now pretty much useless.